Contact us for further information about our staff and treatments. 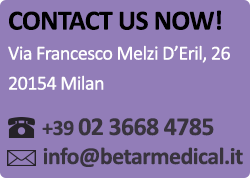 Our team is made up Milan’s top asthetic doctors and skilled practitioners specialized in different medical fields. Our goal is to provide high-quality asthetic treatments and customer service.